Hotbox international ltd are considered to be leading manufacturers of horticulture equipment. All of the products produced by Hotbox are regulated to a high standard to ensure supreme quality keeping the good name of the business. 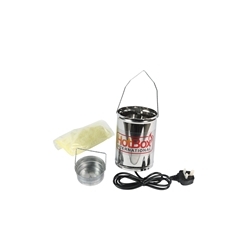 HotBox supplies a range of products which are reliable and safe to use. We stock the Sulfume Hotbox which is the answer to terminating those out of control pests! When all other avenues have been tried, the Sulfume Hotbox is the answer to out-of-control pests.